Join Johnnie and Ora Nadrich as they have a lively conversation about this month's theme: 'Coming to Believe, Where Hope Begins'. These two get excited about the power of belief and the changes that occur as a result. 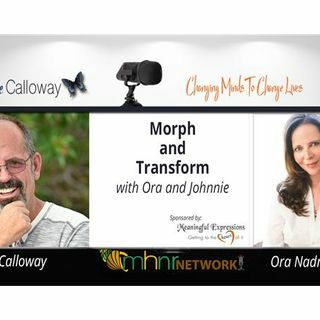 Johnnie and Ora have uncovered a secret healing sauce that is a combination of Ora's "Says Who?” method along with Johnnie's Morph Into A New You process (which combines A Course In Miracles and the 12 steps). Together, they believe they can save ... See More their listeners a lot of pain and time in their pursuit of healing.